3 Bedroom Detached Bungalow For Sale in Dursley for Offers in excess of £475,000. This stunning individual detached dormer bungalow, rebuilt and extended in 2017 to a very high standard. The property is in a peaceful non estate location yet within walking distance to Dursley town centre. Access is via an electric gate opening onto the paved private driveway. The open plan spacious living accommodation really has the WOW factor. With high ceilings, two feature wood burners and folding patio doors leading to the garden. The kitchen area has built-in appliances, induction hob and solid oak worktops. In addition on this level there is a utility room, two double bedrooms and a family bathroom. On the first floor is a spacious gallery landing with space for office. Master bedroom with separate dressing room with built-in wardrobes and a shower room with shower enclosure with overhead drench and riser bar. 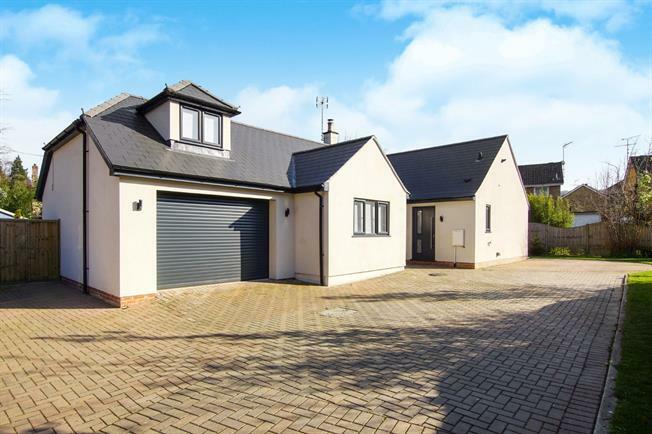 Outside is a large single garage with electric door and ample off road parking, to the rear is enclosed and private with a patio, lawn area with boarders and garden shed. Further benefits include double glazing, gas central heating. Ideal for walkers as close to the Cotswold Way.